Protect Your High-End Luxury Vehicle! 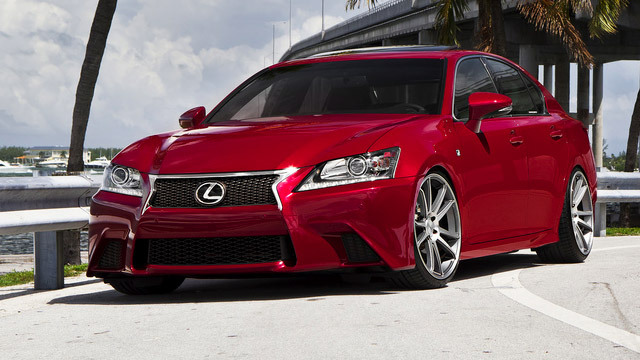 The Lexus is one of America’s finest luxury imports! Owners enjoy extreme comfort and high-powered engine performance. You’ve bought a Lexus, so you already know all about its excellent design and manufacturing. We’re here to protect your investment in a high-end vehicle by providing insightful and preventative maintenance services. The Lexus engine is built to last and its most important service is the clean and consistent oil change. This is key to avoiding costly repairs and breakdowns down the road. Lexus engines that miss important oil change service appointments are unable to maximize the potential of its powerful engine. Come to our technicians for any of your necessary maintenance services, including tune-ups, lube services, engine diagnostics, emissions testing, inspections, computer diagnostics, and more! Todd’s Automotive in Lake Oswego, OR has a team of ASE Certified techs that is well-trained and ready to provide the most effective Lexus services. Todd’s Automotive’s service goal is to make sure your Lexus avoids expensive repairs. We’d much rather you drive into our facility for quick and affordable routine maintenance than be towed to our service bay for time-consuming repairs. Even with a quality service plan, your Lexus may still need proper service attention. Make us your Lexus’s expert repair location. We treat our customers like family, and their Lexus like it was our own. The sooner you bring us your Lexus, the easier it will be to fix whatever is going wrong. Come to us first for all of your Lexus repair services, including engine repairs, transmission repairs, braking system repairs, starter repairs, alternator repairs, air conditioning services, and much more! We want our community’s Lexus drivers to know that they have an excellent alternative to all the dealer’s repair shops. At Todd’s Automotive, your Lexus receives specialized auto services and attention. Any problems with your Lexus performance, including any check engine light services, come to Todd’s Automotive first! Today’s the day to get your Lexus in optimal condition! Any performance issue that you notice should be brought here immediately. Our experts are constantly looking out for your Lexus’s condition, and we’ll do our best to keep you on the road and in the fast lane. Give us a call today to schedule your Lexus service appointment. To save time and money, go ahead and schedule an appointment using our online scheduling system. Anytime you’re in the area, feel free to stop by for a second or third opinion. Our Lexus service experts may find you a better service option before receiving any expensive repairs.